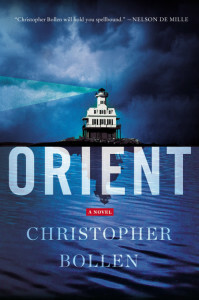 We close out the summer of 2015 with a great summer novel, Orient (Harper) by Christopher Bollen! We talk about his new book, the difference between a “smart murder mystery” and a “literary thriller,” the perils of Male First Novel Syndrome (as evinced in Lightning People: A Novel ), the challenges of writing about Long Island, how his years at Inteview magazine honed his ear for dialogue, his fascination with rootlessness, why it’s too easy to parody the contemporary art scene, and more! Give it a listen! We also talk about Christopher’s impending 40th birthday, his reverse mid-life crisis, “kids today,” the people he now realizes he should’ve been nervous about interviewing when he was young, the allure of detective stories, why childhood bookish shut-ins have great skin when they get older, how I once nearly blew up a shopping mall back in my high school years, and whether the actual inhabitants of Orient were peeved about his new novel. Christopher Bollen is a writer who lives in New York City. He regularly writes about art, literature, and culture. His first novel, Lightning People , was published in 2011. His second novel, Orient , was published by Harper in May 2015. 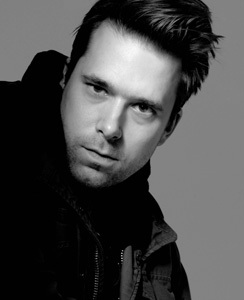 He is currently the Editor at Large at Interview Magazine. Credits: This episode’s music is Nothing’s Gonna Bring Me Down by David Baerwald, which seems to have become our unofficial theme song (I’ll ask DB if it’s okay to make it official). The conversation was recorded at Mr. Bollen’s apartment on a pair of Blue enCORE 200 microphones feeding into a Zoom H5 digital recorder. I recorded the intro and outro on a Blue Yeti USB Microphone . Processing was done in Audacity and Logic Pro. Good-looking photo of Mr. Bollen by Danko Steiner; not-as-good photo by me.